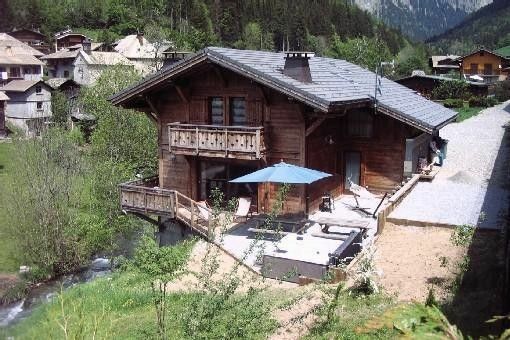 5 bedrooms (all en-suite) beautiful chalet - all mod. cons. Superb brand new chalet with all modern conveniences. All bedrooms "en suite". Ideal for family and friend gathering. Lot's of space to gather but also quiet areas to relax. Jacuzzi outside and full size sauna room with relaxing area, shower and bathroom. Good location. 10 min walk from center of town. Shuttle bus stop to Avoriaz ski lifts stop 200 m away from the chalet. Service also to Morzine village center. New: The Chalet is now equiped with an outdoor Jacuzzi that can easily hold 6 guests. It is available on request at euros 75 for the week. Wow what can I say!!!! Dear David, I am really glad you enjoyed your stay in our chalet and we would be very pleased to host you again. We had an amazing stay and highly recommend this chalet. The living and dining area is generously proportioned with an ample kitchen area if self catering. Bedrooms and en-suites are great and the hot tub and sauna a welcome treat at the end of the day. Location for us worked well, an easy stroll in to Morzine town and a short drive to the Nyon lift system with free parking - ski-bus stop about 100m away (although we did not use this). Will, I am very glad you enjoyed your stay in our chalet. I hope we will see you again in the future. We stayed in the chalet for 2 weeks in August. We had a mixture of 3 families with a total of 14 people and about 17 bikes. There was plenty of room for both people, bikes, and maintenance and cleaning of bikes. This chalet has it all, great location great facilities, great views and lots of outdoor space. We even left a pair of jeans which Marc has since posted back to the uk for us. Just one very small negative we got charged 18 euros for a broken washing machine handle which did break whilst we were there, but not sure it was our fault! I would highly recommend this chalet. Dear Martin, thank you for your positive comment about our chalet. It has been a pleasure to host your family and we are glad you enjoyed your stay. Special thanks to you and your family for taking the time to clean the chalet before your departure although this service is included in the rent. This dramatically helped us prepare the place for the following customers. We hope to see you again in Morzine soon. Vielen Dank an Béatrice und Marc für den netten Kontakt. Nach mehreren unsäglichen Absagen und Fake-Angeboten waren wir sehr froh, dass bei Euch alles gepasst hat. Das Chalet ist sensationell geschnitten, großzügig mit Badezimmern zu jedem Schlafzimmer und einem riesigen Wohn-, Küchen- und Essbereich. Toll! Zudem eine hervorragende Sauna (mit eigener Dusche, Liegebreich, zusätzliche Handtücher und super sauber). Übrigens war alles sehr gepflegt und sauber. Wir waren sehr zufrieden und können dieses Chalet absolut weiterempfehlen. It has been a real pleasure to host you and your friends in our chalet and we are very pleased that you enjoyed your stay. Thank you very much for your very nice comment. We hope to see you again soon in Morzine. Super Chalet! Sehr geräumig und grosszügig! Kann ich nur empfehlen. Wir freuen uns auf unsere nächsten Ferien in Ihrem Chalet.